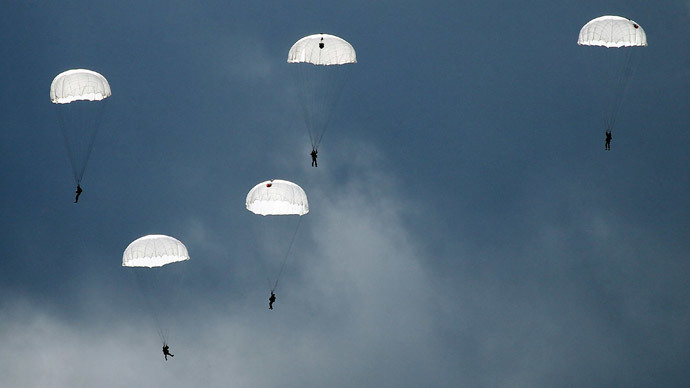 Russia’s Airborne Troops have parachute-landed on drifting iceflows in the Arctic Ocean near the North Pole in a first-ever daredevil training search-and-rescue operation. 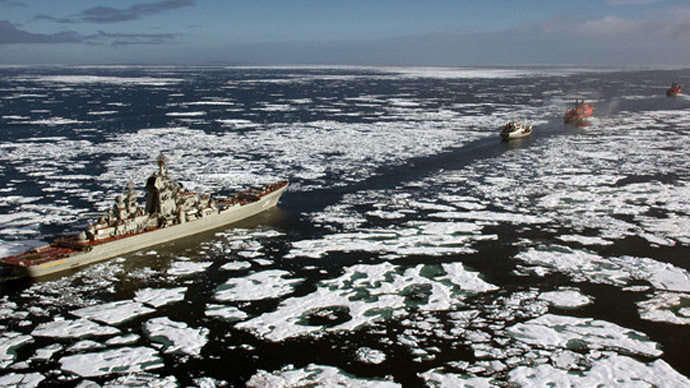 Over 50 troops have parachute-landed from the Ilyushin-76 aircraft near the Russian drifting polar station at Barneo, said the spokesman for the Airborne Troops, Colonel Yevgeny Meshkov. Despite a lack of landmarks on the surface and freezing cold and piercing wind, the landing and the discharge of cargo was carried out smoothly. 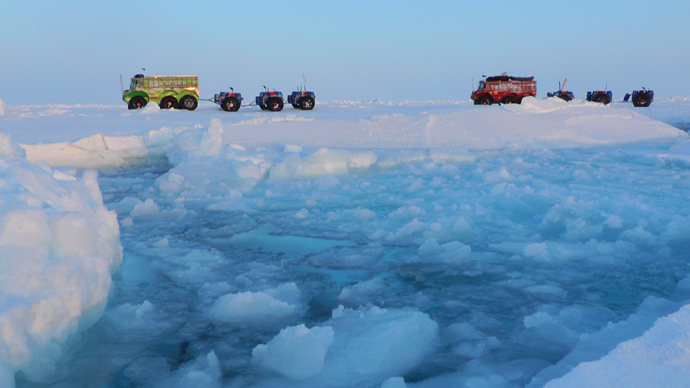 The troops were carrying out a training mission to rescue a polar expedition in distress in extreme weather conditions, with the help of the Expedition Center of the Russian Geographical Society. The troops are to set up camp in the harsh polar conditions. Knives and rifles will protect them against wild animals. The men will have to face many dangers, from encountering a hungry polar bear to the possibility of being killed by the treacherous Arctic ice flows, which are constantly moving. “It’s a very bad idea to hide beneath hummocks” he said, explaining that the ice plate forming a hummock, which weighs at least 300 tons, can fall and crush explorers as the ice starts moving. The team will also plant a Crimean flag they received from Prime Minister Sergey Aksyonov. “We could not ignore to bring the flag of the Russian city of Sevastopol to such a place,” said one of the members of the team.